After surprising their way to the the majors’ fourth-best record in 2018, the low-budget Athletics made a series of short-term commitments this past offseason. A spate of injuries devastated the A’s rotation in 2018 and forced them to rely heavily on inexpensive signings Trevor Cahill, Edwin Jackson and Brett Anderson – three veterans whose best days looked long gone when the club added them. 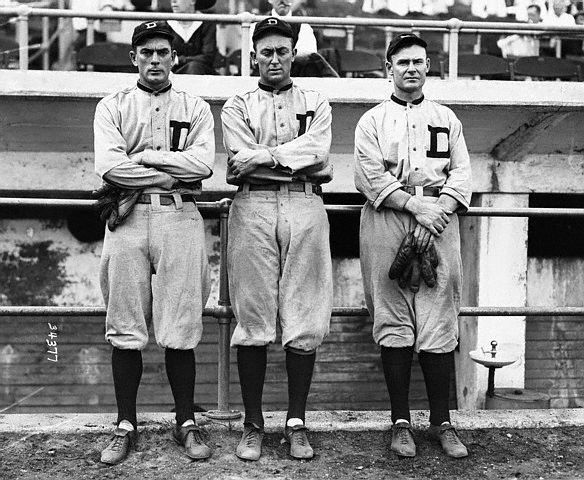 As it turned out, though, the trio held up reasonably well over a combined 282 1/3 innings and helped the upstart A’s to a wild-card berth. Cahill, the most effective member of the group, parlayed his strong 2018 into a $9MM guarantee with the division-rival Angels over the winter. Oakland also waved goodbye to Jackson, who hasn’t landed a deal with anyone despite his resurgent season, though it did bring back Anderson. Injuries have been a consistent problem during the 31-year-old Anderson’s career, including during his 80 1/3-inning showing last season, yet the A’s decided to gamble on him again for a mere $1.5MM salary. Accompanying Anderson in the A’s rotation are fellow free-agent signees Mike Fiers and Marco Estrada, who started the club’s season-opening losses to the Mariners in Japan. The 33-year-old Fiers first joined the A’s in a trade with the Tigers last August, after which he logged solid numbers across 53 frames. While Oakland then non-tendered Fiers in lieu of paying him a projected $9.7MM via arbitration, it quickly brought him back on what it regards as more team-friendly numbers (two years, $14.1MM). Estrada took an even more palatable pact – a guaranteed $4MM – as he seeks a rebirth after a couple down seasons in Toronto. For a pitcher who posted an abysmal 5.64 ERA/5.44 FIP last season, Estrada looks like a shrewd signing for the Athletics, as his fly ball-heavy skill set should mesh with their cavernous home park. Among pitchers who threw at least 100 innings in 2018, no one managed a lower groundball percentage (24.0) than Estrada, who’s now shifting to a stadium that was death on fly balls last year. Plus, having generated truckloads of infield pop-ups in recent years, Estrada stands to benefit from the enormous foul territory at the Oakland Coliseum. Estrada and the other members of the A’s revamped rotation will turn the ball over to a bullpen that was a premier unit in 2018, largely owing to elite closer Blake Treinen’s presence. In-season acquisitions Jeurys Familia and Shawn Kelley also helped the cause, and even though the A’s showed interest in re-signing both right-handers, they departed in free agency. Oakland still came away with a well-known bullpen prize on the open market, though, as its most expensive offseason deal went to longtime standout Joakim Soria. The 34-year-old looks as if he’ll be the primary setup man for the team, which also features other established choices in Ryan Buchter, Fernando Rodney, Yusmeiro Petit and Lou Trivino. Unsurprisingly, then, ZIPS projects the A’s to once again boast one of the majors’ most formidable bullpens this year. 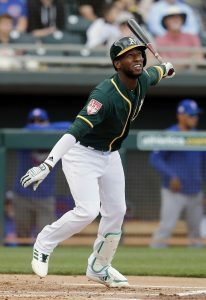 On the position player side, a particularly notable offseason change came at second base, where the A’s bid adieu to Jed Lowrie in free agency but welcomed Jurickson Profar in a trade with the division-rival Rangers. Lowrie enjoyed an excellent pair of seasons in Oakland from 2017-18, though his age (34) and extensive injury history likely factored into the A’s decision to switch things up at the keystone. A few weeks after the Athletics landed Profar, Lowrie accepted a two-year, $20MM offer from the Mets, with whom he is already battling an injury. Profar is also under control for the next two seasons – albeit at a much lower rate ($3.6MM) in the wake of a somewhat disappointing Texas tenure. Although Profar has struggled for the majority of his career thus far, the light bulb may have gone on in 2018. To close out his time in Arlington, the switch-hitting Profar accounted for 2.9 fWAR over 594 plate appearances, hit .254/.335/.458 with 20 home runs and 10 steals, and struck out in just 14.8 percent of PAs. Oakland also welcomed new faces at catcher, where it brought in Chris Herrmann on a big league deal and Nick Hundley on a minors pact, as well as in the outfield (Robbie Grossman, $2MM). Herrmann underwent knee surgery earlier this month, though, meaning he’ll open the season on the 60-day injured list. His absence paved the way for Hundley to earn a spot alongside holdover Josh Phegley. Now, the 35-year-old Hundley is filling the grizzled vet role Jonathan Lucroy took on last season. Lucroy joined Cahill in bolting for Anaheim in free agency, but the former’s production should be easier to replace. The respected Lucroy was a hit behind the scenes in Oakland, but the ex-star’s numbers on both ends left much to be desired. Of course, it’s up in the air whether the unexciting trio of Herrmann (when healthy), Hundley and Phegley will provide much of an upgrade over Lucroy. Similarly, Grossman isn’t the most compelling addition. To the former Astro and Twin’s credit, however, he gets on base – a skill everyone knows the Athletics have long valued – which should make him an improvement over the 2018 version of the now-departed Matt Joyce. Grossman compiled a superb .371 OBP during his 1,310-PA stint with the Twins, thanks mostly to a 13.9 percent walk rate. But the switch-hitting 29-year-old brings minimal power to the table, which was especially true in 2018 (five home runs, .111 ISO in 465 PAs), and historically hasn’t provided much either in the field or on the bases. Despite his flaws, Grossman’s likely to play an important role in the A’s outfield – especially with Nick Martini recovering from a knee injury. Concerns are plentiful in Oakland’s rotation, which will rely on a series of iffy options to begin the season. At this point, there’s nothing resembling a front-line starter among the quintet of Anderson, Fiers, Estrada, Frankie Montas and Chris Bassitt, though the 25-year-old Montas has at least provided reason for optimism this spring. More realistically, electrifying lefty Jesus Luzardo, 21, is the A’s best hope to conjure up an ace from within. However, in what has become an all-too-typical occurrence for the A’s, Luzardo’s on the shelf with an arm injury (a rotator cuff strain, to be exact). If healthy, Luzardo could have cracked the A’s season-opening rotation, but he’ll instead miss at least the first several weeks of the campaign. Likewise, Sean Manaea, A.J. Puk, Jharel Cotton, James Kaprielian and Daniel Gossett will sit out some or all of 2019, leaving Oakland in a similar position to last year. The A’s still found a way to adapt and survive then, thanks in part to the decision to mimic the Rays’ opener strategy down the stretch. The role proved beneficial for veteran reliever Liam Hendriks, who came back from a demotion off the A’s 40-man roster late in the season to thrive (playoff loss to the Yankees notwithstanding). We could see more of Hendriks & Co. at the start of games in 2019 if Oakland’s not content with its collection of traditional starters. As mentioned earlier, the A’s pitchers are slated to throw to a weak-looking mix of catchers. Relative to his position, Hundley has been fine at times with the bat, but his defensive numbers have been poor for the most part; Phegley has been one of the worst hitters in baseball since 2017 (59 wRC+); and Herrmann’s a journeyman who hasn’t offered much as either as a batter or a defender across 898 major league PAs. No matter, Oakland’s leaning on that behind-the-plate trio as it counts down to the arrival of 24-year-old prospect Sean Murphy – a player Eric Longenhagen and Kiley McDaniel of FanGraphs believe could blossom into “an above-average regular” in the bigs. It’s possible Murphy’s forthcoming promotion prevented the A’s from making a splashier offseason pickup behind the plate. They did show interest in Wilson Ramos and Kurt Suzuki, but both signed affordable deals elsewhere. Meanwhile, even though Yasmani Grandal languished on the market before settling for a shockingly reasonable guarantee (one year, $18.25MM with Milwaukee), Oakland never pursued the former Padre and Dodger. Aside from catcher, it appeared the A’s were going to enter the season without any massive concerns in their position player group. Unfortunately, that changed this week with the news that first baseman Matt Olson underwent right hand surgery, which will cost him at least the first month of the season. While manager Bob Melvin had the luxury of writing Olson’s name into his lineup 162 times last year, he’ll have to temporarily make do with a Profar-Mark Canha platoon at first, according to executive vice president Billy Beane. Profar’s the team’s No. 1 second baseman, though, which means it’ll turn to Chad Pinder or Franklin Barreto at the keystone when he has to occupy Olson’s spot. When Olson does come back, it’s anyone’s guess whether he’ll suffer any ill effects from his injury; if not, an infield consisting of him, Profar, superstar third baseman Matt Chapman and shortstop Marcus Semien looks enviable on paper. Meanwhile, although the Athletics lack a Chapman-type franchise player or a Khris Davis-esque masher among their main outfielders, Stephen Piscotty, Ramon Laureano, Canha, Pinder, Grossman, Barreto, Martini, Luis Barrera, Skye Bolt and Dustin Fowler do comprise a deep and respectable group of 40-man possibilities. Oakland has somewhat frequently overcome the odds during the long-running Beane era, and it’ll have to do the same in 2019. Even before the Athletics lost Luzardo, Olson and the first two games of their season, they weren’t a popular pick to repeat their 2018 success. Indeed, on the heels of a modest offseason, PECOTA projects the A’s for just 78 victories – 19 fewer than last year’s total. So are we just going to ignore “Kyler Murray” under the notable losses section? Or is he still technically part of the team? He walked from the deal though, didn’t he? I’m still not 100% sure: Are the A’s paying Kyler any money? If they are, that’s really stupid, and if they’re not, how would they still have his rights? I find the whole situation to be confusing. They own his rights though he has or had to pay back the money he signed for when drafted. It’s similar to Yankees (I think, or maybe the Rangers) owning Russell Wilson’s rights. He quits football and wants to start a baseball career that’s the team he’ll be playing for. If I’m understanding everything I’ve read correctly, the A’s will get back whatever money they’ve committed ($4.66m signing bonus i think?) but don’t get a compensatory draft pick. I think they do hold his MLB rights, and I’m guessing the reasoning is just so you don’t have any weird kind of behind-the-scenes tampering type stuff trying to talk guys out of deals and re-entering drafts to be picked by different teams. Again, I haven’t looked into it at all. The A’s brass have said they are going to offer him more money than whatever NFL team drafts him offers. He’s going to be under team control until his 10 cent head realizes getting CTE isn’t worth an NFL career when one in MLB can pay him triple, and hopefully the A’s can convince him of that fact sooner than later. I think they can redeem themselves by adding Keuchel and Leon after losing both Olson and Luzardo in a one week span . All they have to do is take a look across their division and see that players are getting long term contracts while they play cheap. what about last years first round daft prick.. has coaching had a chance to take a look, any projections? Exactly. How is Keuchel still out there and Beane isn’t even calling him ONCE. The Jurickson Profar acquisition was outstanding. That’s all I saw from the As. I liked the gets of Profar, Soria and to an extent, Grossman. But this was a terrible offseason by Beane for not getting Maldonado, Keuchel and Familia, and keeping an overpaid Rodney on board. Beane simply did not do his job this offseason. He did not fill the holes in pitching and banked on SPs being healthy (a thing you should never ever do). I don’t like Grossman blocking Fowler, but Keuchel blocking Brooks and Mengden is a move every good GM makes. Beane really did think Luzardo would be healthy all year, what a moron. Beans is not the GM. David Forst is the A’s GM. They will miss Lowries bat. Grossman should provide what Joyce did last year. Don’t understand why they didnt set their sites higher. I know they are a budget team, but a player like Dalton Pompey has more upside and should be cheap in trade. Joyce was terrible last year and Grossman is a good player, but the A’s already have him in Nick Martini (who got hurt) and Dustin Fowler who’s ready-now and should not have been blocked. Dumbest offseason in A’s history. thats a lot of Major League deals for a SMALL MARKET TEAM. Compare it with the Cardinals, who are also a small market team. The A’s ownership should be forced to sell the team if they aren’t going to ever spend good money on players. The Cardinals are lucky in that they don’t compete with a lot of other professional or collegiate teams for fans interest or money. Plus, I think the BayArea of California has a lot more interesting things to do than St. Louis, MO. A’s, on paper, didn’t have starting pitching last year. Yet they managed to win 97 games. They received good (and great) production from many guys, some unexpected. Sustaining this will be difficult given the offseason. Oakland went 18-0 against SD, Toronto and Detroit. They beat teams they needed to beat. That’s what good teams must do. If Oakland is hovering near a playoff spot come July, and they get Cotton and Manaea back (maybe), they could be poised for a second half run. A’s are ignoring the poor selection of catchers. Still do not understand why they did not get a real catcher instead of having 2 back ups as your starter. Martin Maldonado literally won the gold glove and the A’s lineup is stacked with bats so his weak hitting wouldn’t matter. Beane literally said ownership was going to let him go hard on signing SPs and he gets….. Anderson, Fiers and Estrada. Three fifth starters. For cheap. Pathetic. Beane lied and Keuchel is STILL out there!!!! A’s rotation is all fifth starters/backend guys. Why did he do this. He can trade for Kluber, Bauer or someone else elite, but refuses to. Why. A’s needed Maldonado or Leon too, who cares about their bats, the A’s need a good defensive C. Why. Also giving money to Rodney over resigning Familia was a trash move too. Hendriks and Dull are terrible pitchers. Beane did not do enough to fix the pen. Profar, Soria and Grossman were good moves, Beane has done a good job with the offense except catcher, but if ever there was a team built for Keuchel, it’s this A’s defense. I give the A’s a D grade for this offseason. All they needed to do was spend more money and they’d challenge Houston, instead they are banking on what happened last year will happen again. I will change this to an A grade if they sign Kimbrel, Keuchel and get Sandy Leon. But they won’t, because the owners are penny pinching losers who don’t care about the fans or product they put on the field. Also: I’m furious the team protected Skye Bolt over Richie Martin. What a terrible offseason for Beane. If ‘spend more money’ is your answer then you don’t understand baseball and you certainly have no clue about the Oakland A’s. I Love Strike Four. Spot on. Seriously, your take is beautiful. How is Piscotty not a masher? The A’s better sign Jackson while they can. This guy was major last year in their push to the playoffs. No way they won all those games without him. BB needs to be fired if he doesn’t go after him. He shouldn’t be expensive either. So what’s the problem? Of course go after Keuchel too.